Emir Kusturica & The No Smoking Orchestra (Zabranjeno PuÅ¡enje) & Stribor Kusturica & The Poisoners- Discography (1984-2009) | Free eBooks Download - EBOOKEE! Posted on 2014-05-16, by interestinglike. Zabranjeno PuÅ¡enje (Bosnian for No Smoking) is a Bosnian rock band from Sarajevo. After the band's popularity reached new heights in late 1980s, spurred on by the televised version of Top Lista Nadrealista, the Bosnian War which followed saw the breakup of the band, with one offshoot continuing work in Belgrade initially as Zabranjeno PuÅ¡enje, later under the name No Smoking Orchestra, and the other initially in Zagreb then later returning to Sarajevo, using the original name. Nevertheless, many of the songs of Zabranjeno PuÅ¡enje have attained an anthemic status and their music remains popular across former Yugoslavia. 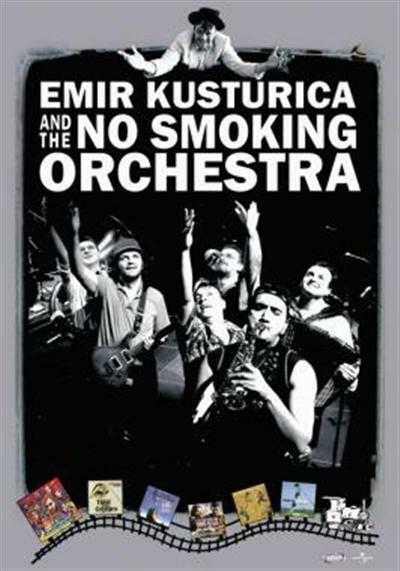 No comments for "Emir Kusturica & The No Smoking Orchestra (Zabranjeno PuÅ¡enje) & Stribor Kusturica & The Poisoners- Discography (1984-2009)".